Well, I haven't received my issue in the mail yet, but the cover of the November issue of Martha Stewart Living has been revealed on the iPad. 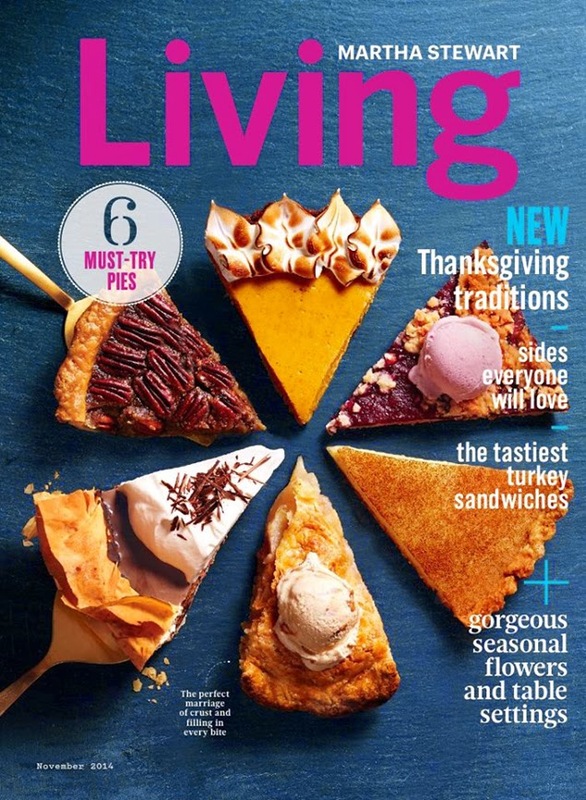 The pie slices look beyond tempting and I'm excited to hear about these 'NEW' Thanksgiving traditions and see the gorgeous flower arrangements and table settings the cover promises! On sale next week! I downloaded my November digital issue, beautiful thanksgiving centrepieces, recipes and craft projects. I look forward to Nov and Dec my favourite months, Nov Thanksgiving and Dec my birthday month 🌟Christmas and New Years eve. With all due respect, this is my least favorite November Living cover. It doesn't scream Thanksgiving to me. I love the cover, I am downloading my issue now for my iPad! Hi Andrew, any news about the other blog links on Martha's blog?